Hello welcome to lesson 4 we will now look at the topic of matrices. A matrix is just a way to organize information by rows and columns think of an Excel spreadsheet as an example. 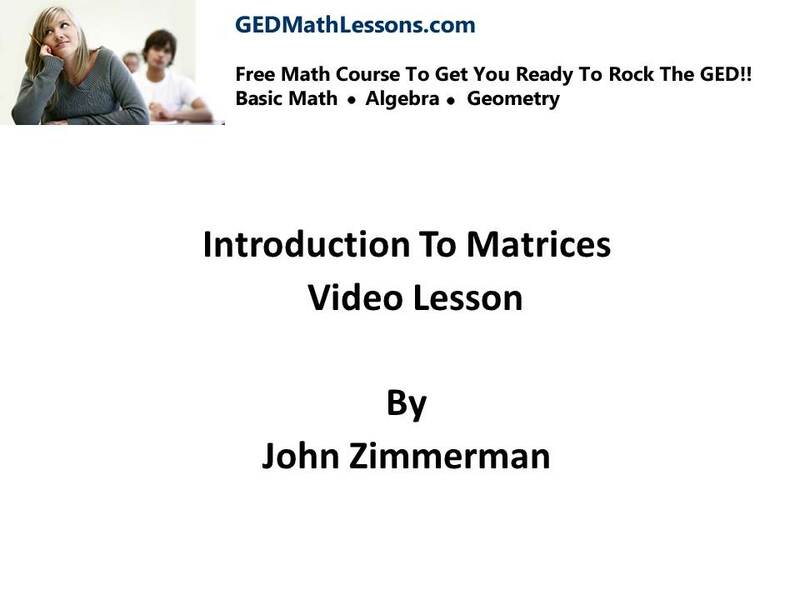 The following two lessons will introduce you to matrices and if you continue to study algebra you will see much more about the topic. However for the GED you want to make sure you gain some basic matrix skills by studying these lessons.